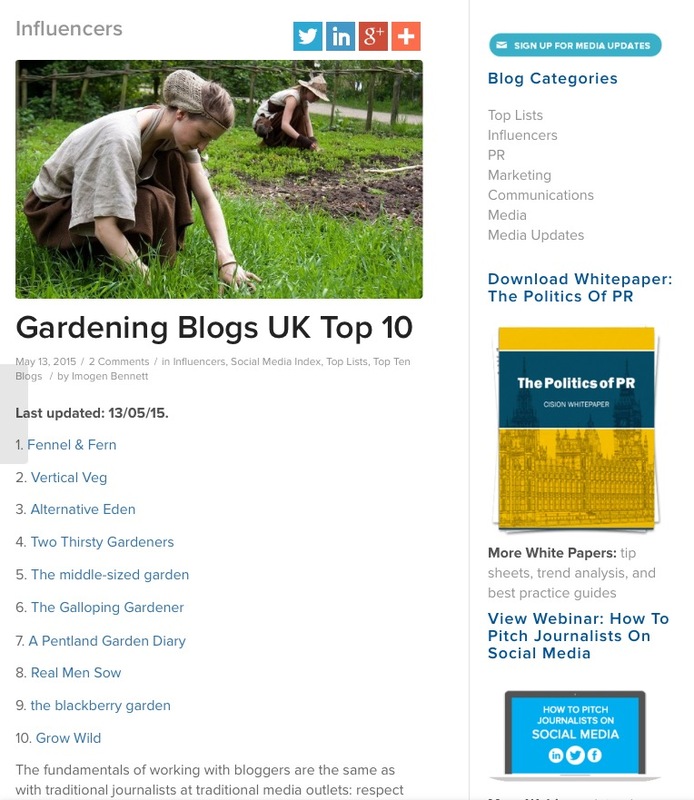 I was more than a little surprised, but also dead chuffed, to receive an email yesterday saying that A Pentland Garden Diary has been listed as one of the UK’s top gardening blogs – coming in at number 7. I have no idea how my little garden diary has been picked up but it was a lovely surprise. I now need to go and check out all the other interesting looking ones on the list.